- "Café con leche": Espresso and milk in equal measure. - "Cortado": A shot of espresso topped with a thin layer of milk and foam. 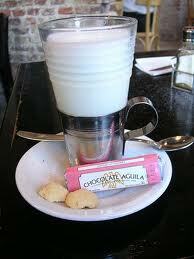 - "Submarino": A tall glass of hot milk served with a chocolate bar - the argentinian version of a hot chocolate. - "Capuccino": In Buenos Aires a capuccino is generally served in a tall glass and has nothing to do with the Italian version. - "Doble": Any way you like it, but double the dose. - "Jarrito": Any way you like it, served in a small, elongated glass. 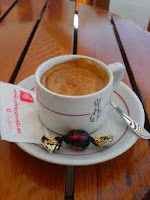 - "Lágrima": Literally a "teardrop" of espresso (less than half a shot) with plenty of milk. 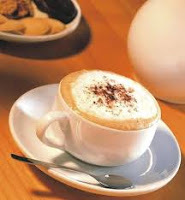 - "Café con crema": Espresso and cream in equal.